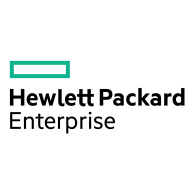 Hewlett Packard Enterprise (HPE) today announced it is opening high-performance computing (HPC) capabilities to astronauts on the International Space Station (ISS) as part of its continued experiments on the Spaceborne Computer project. Spaceborne Computer is the first commercial off-the-shelf (COTS) supercomputer that HPE and NASA launched into space for a one-year experiment to test resiliency and performance, achieving one teraFLOP (a trillion floating point operations per second) and successfully operating on the International Space Station (ISS). After completing its one-year mission proving it can withstand harsh conditions of space – such as zero gravity, unscheduled power outages, and unpredictable levels of radiation – Spaceborne Computer will now, for the first time ever, open its supercomputing capabilities for use aboard the ISS. These “above-the-cloud” services will allow space explorers and experimenters to run analyses directly in space instead of transmitting data to and from Earth for insight. Due to limited computing capabilities in space, many of the calculations that are necessary to complete research projects started in space are still processed on Earth. This approach is feasible for running research on the moon or in low earth orbits (LEO) between 400 and 1,000 miles above the Earth’s surface, where communication can be in near real-time with Earth. However, larger communication latencies of up to 20 minutes both to and from Earth can occur when data is captured farther into space and closer to Mars. This reality makes any on-ground space exploration challenging and potentially dangerous if astronauts are faced with mission-critical scenarios that they are unable to solve themselves. Enabling high-level computing performance on the ISS eliminates the latency experienced when transmitting data to and from stationary space centers on Earth, while also providing computing capabilities to run analysis on-board, instead of depending on their earthbound research teams. Experiments on the ISS capture a high volume of data, including high-resolution images and videos. However, in the majority of cases, researchers only need to view specific parts of the data. Enabling the dissection and processing of data on board the ISS avoids latency and drives greater efficiency and speed. Today’s network bandwidth in space is dramatically consumed by transmitting large data sets to and from Earth. By opening up high-performance computing capabilities in space, the Spaceborne Computer allows ISS researchers to preserve bandwidth for emergency communications. The Spaceborne Computer will also test the boundaries of communications in space in order to close gaps in latencies as space travel to Mars and beyond becomes a reality – and reliable communications become even more essential in mission-critical events. By powering this new frontier in space, HPE and NASA aim to further improve independence for space explorers through enhanced insight that will enable artificial intelligence and machine learning applications to unlock new discoveries. Improving insight and speed will accelerate scientific findings, not only for new discoveries in space, but also for understanding Earth and surrounding environments. Spaceborne Computer is based on the HPE Apollo 40, a purpose-built high-performance computing (HPC) platform. The system continues to stay intact in space without requiring additional hardware. Instead, it uses a software-hardening approach that is integrated with its HPC nodes, proving we can bring similar, affordable and compact systems to space in the future. To learn more about Spaceborne Computer’s significant milestones since it first launched in space in August 2017, please visit its timeline.